Even if you only use your crochet hooks to finish your knitting projects, it pays to understand how crochet hook sizes can vary from country to country, so that you can select the right size for the job in hand. 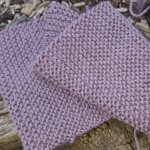 The size that is recommended by your crochet pattern will depend on where you live and where the pattern was printed. If you are in Australia for example, most crochet hooks are marked with both the metric size and the UK/Canadian sizes, but if you are buying crochet hooks manufactured in the United States the manufacturer will have used the US sizes. In other words, a size 2 in one country is not necessarily the same size as a size 2 in another country! I tend to use metric sizes as no matter where you are 2.0mm is still 2.0mm, and here in Australia, most of the patterns you buy will list both the metric size and the equivalent United Kingdom and/or Canadian size. 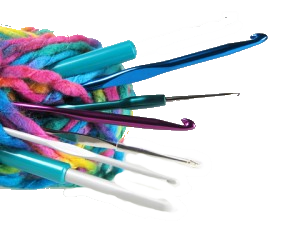 The size of your crochet hook, along with the weight of the thread you use for your crochet projects will determine the overall size of your project. As with knitting needles, the finer the hook you use, the smaller the end product will be.